North America transfer cities permitted are: Los Angeles, Chicago, San Francisco, New York, Montreal and Vancouver. Asian transfer cities permitted are: Bangkok, Hong Kong, Tokyo and Shanghai. Fly with airlines such as: Qantas, Air Canada, Air New Zealand, Thai Airways, United Airlines, Cathay Pacific from Australia to transfer cities. Then fly Swiss from transfer cities to Europe via Zurich or Geneva. Child discounts may vary, ask your specialist for details. Change and cancellation fees apply, speak to one of our specialists for more details. 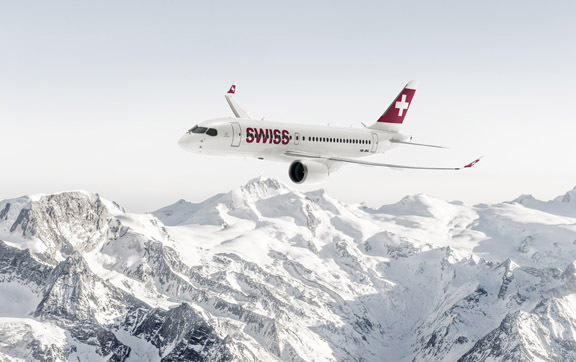 Whether on long-haul flights, in Europe or in the Business Jet between Zurich and Newark - with SWISS Business you are banking on service at its best. Time to relax, time to work, time for gourmet moments and the good feeling that you will be fresh and alert for your next meeting. SWISS Business: an optimum combination of flexibility, efficiency and comfort.